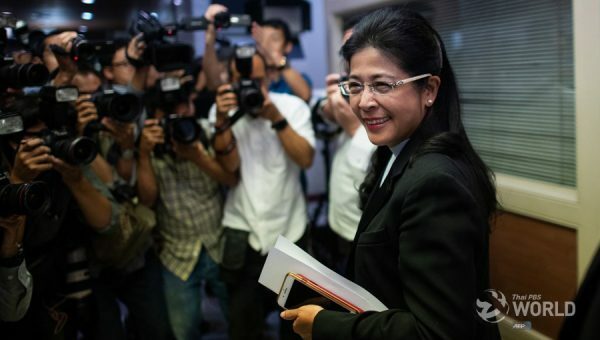 The pro-Thaksin Pheu Thai party has emerged as the winner of the March-24 general election, garnering 137 House seats from 350 constituencies nationwide, according to unofficial poll results announced yesterday by the Election Commission (EC). The pro-Prayut Palang Pracharat party came second with 97 seats, followed by Bhumjai Thai party’s 39 seats, Democrat party’s 33 seats, Future Forward party’s 30 seats and six seats each for the Prachachart and Chart Thai Pattana parties. The figures exclude seats from party list candidates. 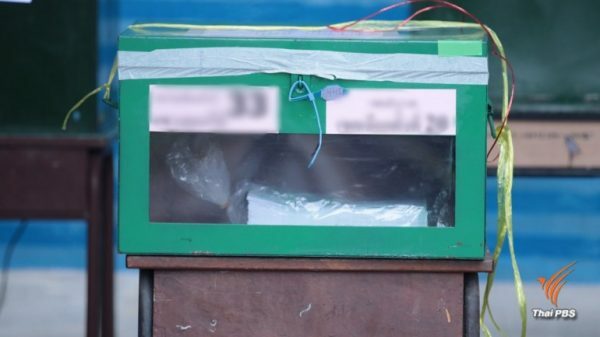 The Election Commission said it is providing only results from constituency elections. The election saw humiliating defeats for several prominent former MPs in their home bases at the hands of newcomers, especially those from the Future Forward party and the Palang Pracharat party. 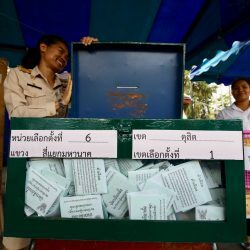 The Democrat party, which had always performed well in previous elections in Bangkok, was roundly defeated on Sunday, not winning even one of the 30 seats in the capital, which were shared by the Palang Pracharat, Future Forward and Pheu Thai parties. Democrat candidates also suffered defeats in several southern provinces, areas considered to be the party’s traditional stronghold. Deputy leader and former Phatthalung MP Nipit Intharasombat and former MP of Nakhon Si Thamarat Surachet Masadit were dethroned by Palang Pracharat candidates. Former Songkhla MPs Sirichoke Sopha and Virat Kalayasiri were also ousted. Former Phitsanuloke MP Warong Dejkitvigrom, who is well-known for his exposure of massive corruption in the rice scandal of the former Yingluck government, lost his seat to Future Forward candidate Patipat Santipada. Sa Kaew province, which used to be the exclusive turf of Mr.Sanoh Thienthong of the Pheu Thai party, swung to the Palang Pracharat party. 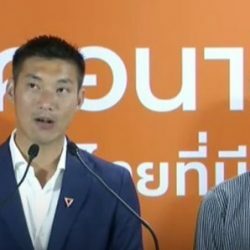 Sanoh’s son Surawong, running on a Pheu Thai ticket, and two other candidates were defeated by Palang Pracharat candidates. Two of them are his own nephew and niece who had defected to Palang Pracharat.